Did any of you fall victim to the flu over the holidays? We’ve talked about it before, but the flu season is our LEAST favorite time of year, hands down. 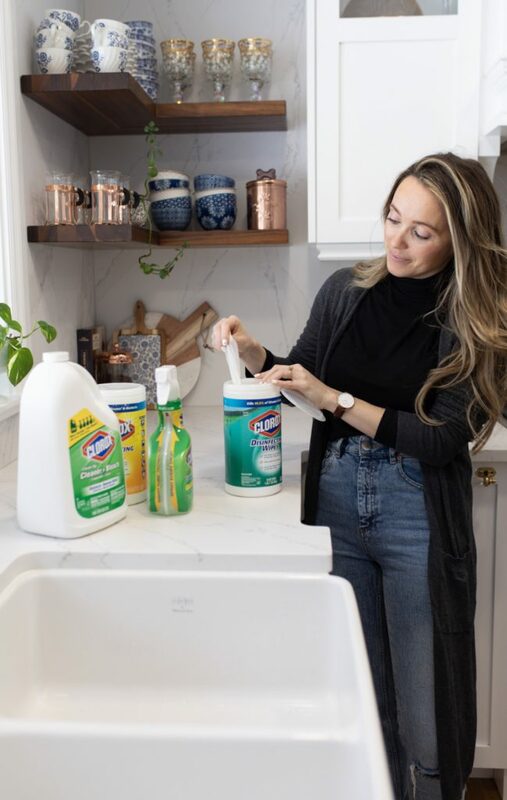 We’ve teamed up with Clorox & Home Depot today to share our must have products during the cold and flu season with you, as well as some other tips for keeping the cruel germs at bay. Whether it’s from family gatherings or germs from school, it’s hard to hide from the flu. Trust me, we’ve tried. And when one person in the family catches it, it’s a domino effect and one by one we all have it. Hello sleepless nights worrying about your littles and scary fevers and falling behind in work, the flu is not only inconvenient – it’s scary too! If I could share 1 tip with you guys that we’ve recently started doing in our home, it’s wiping out the flu with Clorox cleaning products. The only cleaning products that can protect families, ESPECIALLY kids, from viruses during the flu season. We recently picked up the Wipe Out the Flu Bundle Pack from Home Depot and this will be something I have in the house all year round, as much as natural products serve a purpose in our home – when it comes to disinfecting and wiping out the flu virus, I trust Clorox products from The Home Depot. We picked up the Disinfecting Wipes along with the All-Purpose Bleach Spray Cleaner and the Bleach Refill. Tip 1: The antibacterial wipes are my first go-to, they are convenient and bleach-free. They clean and disinfect with a powerful multi-purpose wipe killing 99.9% of bacteria and viruses AND remove common allergens from around the home. Did you know that each wipe can kill cold and flu viruses and bacteria including Human Coronavirus, Influenza A2 Virus, Staph, E. coli, MRSA, Salmonella, Strep and Kleb that can live on surfaces for up to 48 hours? We get the 2 pack of the 75 count bottles in 2 scents, which is great because they aren’t overwhelming, and I love that they can be used on a variety of surfaces around the home! I tackle our door handles with these, light switches, any remote controls or frequently touched surfaces, our kitchen island and more busy areas of the home. We even keep a pack in our vehicles too! Tip 2: Another tip is teaching your kids to wipe their hands constantly! There can never be enough hand washing, as soon as we get Ella home from school, we all wash our hands. It’s become a system for all of us. When Craig gets home from work, he does the same. Tip 3: Get some rest. I know that when any one of us in the family hasn’t been getting their proper z’s, it affects our immunity. If you want to have a strong system that fights of viruses, you need your sleep! Trust me, I do all of my work after the kids go to bed so I am no stranger to staying up well past when I should be going to bed. BUT, give yourself rest. If your body is telling you that you need it, don’t fight it – the work CAN wait. Your family needs you in tip top shape! Tip 4: Make sure you are taking your probiotics and giving your kids theirs, when your immune system is under attack by the flu – a little help with your digestion health is a good thing. Tip 5: Up your Vitamin C intake! And while you’re at it, enjoy yourself a ton of fresh garlic and ginger too! Thinking freshly squeezed oranges juices and homemade soups. 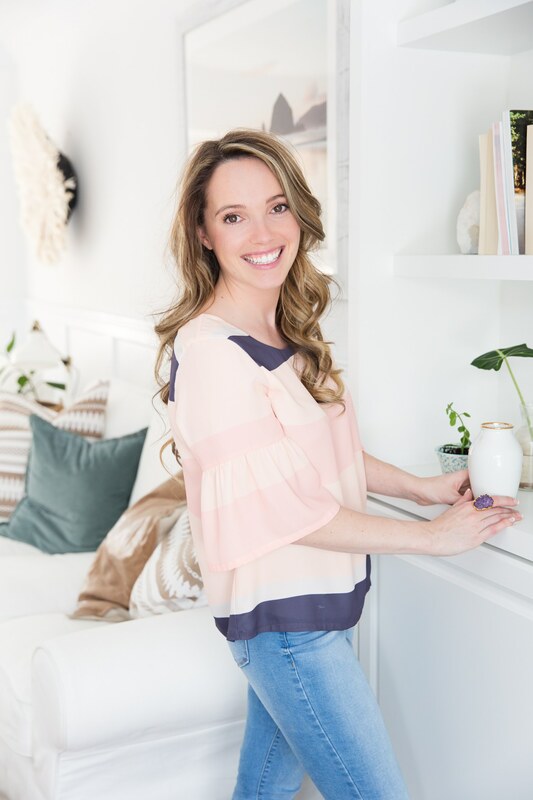 Tip 6: My farmhouse kitchen sink came white and I like to keep it that way, I also like to make sure our kitchen sink is free of germs and bacteria – it is one of the spaces in our home that I use the most! I use the All-Purpose Cleaner with Bleach in our kitchen and our washroom, it removes tough kitchen and bath stains, grease and dirt on contact, while killing over 99% of germs. I wear gloves when using this product and make sure to crack open a window as well which you can see in the video I shared above! I hope all of these tips have been helpful for you, it’s honestly no fun getting sick or having any one in the family under the weather. We were all hit with the flu this year and I’ve made sure to disinfect everything and wiped that flu right out of our home! A big thanks again to Home Depot and Clorox for sponsoring today’s blog post, all opinions are my own.